Since publishing Being Selfish I’ve to come to appreciate how dramatically the book’s title riles people up. The mere mention of the word “selfish” can ignite a host of sundry emotions from the politely offended to the overtly judgmental. The origin of every action is a self. Each of us has a core sense of “I”. If we tell the truth, we all feel this sense of uniqueness, and unless we’re traumatized by an unhealthy familial upbringing, we feel we deserve a good life—we sense we were born for one. So why does it irk us when we see others going for their version of a good life (and call them selfish)? And why do we hold ourselves back from going for ours, (and call ourselves selfless)? 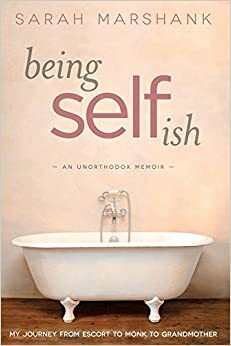 The word “selfish” implies egotism, greed, or self absorption; a focus on getting what one wants solely for oneself, sometimes at the expense of others. This definition applies equally to material objects as it would to a drive for personal development or self knowledge. But what if someone’s quest for wealth is predicated on his desire to take care of others? What if someone’s hunt for self knowledge is driven by anxiety? When we know an individual's motivation does it influence our judgement about whether an action is selfish or not? In Buddhist terms, the root of suffering is in identifying as the “me”. Freedom from suffering happens when we realize the true nature of the “me” and begin to identify as the “I”, recognizing our intimate connection with the source and all life. When the “me” gets in touch with her rightful place in relation to the “I”, our entire view and experience of life changes. Though it takes time and practice to change habits, we are no longer busy judging others. Instead we get busy deepening our own relationship with our authentic self. We become selfish. Recently we’ve seen a historical number of disasters destroy lives, homes, animals, nature, and businesses. We may feel heartbroken and paralyzed and wonder what we should do. What actions can we take? How do we metaboli . . .